n 2017, movies like Alien: Covenant and Life pushed the banal idea that aliens, if we encounter them, will be hostile. Yawn. Far more interesting was the premise posited by Arrival, which suggested that aliens may come in peace, though we’d only know if we could communicate with them. That notion may not be strictly fictional: In a Reddit AMA on Thursday, the famed theoretical physicist Michio Kaku, Ph.D., explained that the latter scenario is far more likely to play out in real life. It was inevitable that, while Kaku was promoting his boldly titled new book The Future of Humanity, curious fans would ask whether the future of humanity would involve aliens. Kaku, unsurprisingly, said yes — much of his work deals with the Kardashev Scale, a ranking system for the technological prowess of alien civilizations — but his thoughts on what first contact might be like were a little more unexpected. 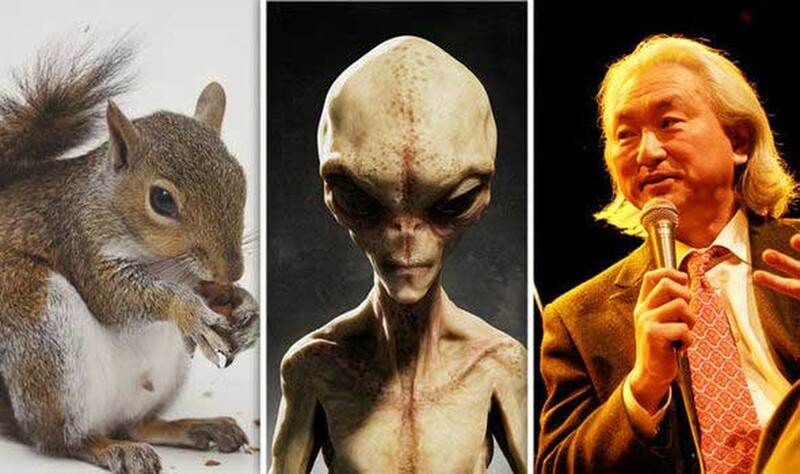 Michio Kaku: Doesn’t think that highly of humans, and that’s a good thing. Another user asked Kaku how much more advanced an alien society might be morally and philosophically, and in his response he doubled down on the idea that we’d probably be too insignificant to really engage with them on that level. I get asked if the aliens are evil and want to destroy us. Maybe, but I think in the main they will be peaceful because they have had thousands of years to resolve sectarian, fundamentalist, nationalist questions. However, they still might be dangerous if they simply don’t care about us and we get in the way. In War of the Worlds, the aliens did not hate us. We were simply in the way. In the same way that a developer is a threat to forest animals because he can pave the first, the danger there is from someone who sees that we are just in the way. But for the most part, I think they will be peaceful, but view us like we view forest animals. Aliens will acknowledge us in the way we acknowledge forest animals, noting our existence but generally not paying any mind. Kaku doesn’t seem to think too highly of humanity, but perhaps that’s for the best. On the Kardashev Scale, a Type 1 civilization can harness and use all the energy from its nearby star, and a Type 4 (the highest ranking, which Kaku proposed) would control all the energy within the universe and perhaps even outside it; somewhat pathetically, we’re ranked around 0.7. Meanwhile, any aliens that manage to contact us from outside our solar system must be at least a Type 1. Like any human that steps into the woods, aliens that arrive on Earth may be there to hunt — or simply there to camp or go for a swim. If they show up, there’ll be no way of knowing their intentions. However, as Kaku points out, in that scenario it’ll be better to remain insignificant, like chipmunks and sparrows, than to immediately draw the aliens’ attention, like formidable, threatening bears.